There are politicians who are dreaming of coming to power by hook or by crook. By murders, frauds, embezzlement and other financial crimes? The country and people don’t want these murderers, fraudsters, thieves and criminals as their leaders in whatever masquerades they come before the people. The people want leaders who love the country and the people. There are so many who are dreaming of forming governments in 2020. They are in a fantasy world because they have no plan, strategy or vision to develop the country and strengthen inter-communal harmony and reconciliation. The SLFP has a clear-cut plan, strategy and vision on how to achieve economic progress and reconciliation by 2025. 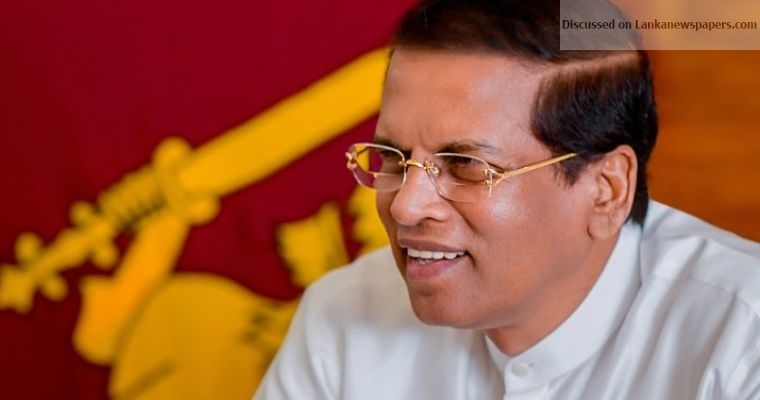 The SLFP is ready to launch this journey with like-minded people, political parties and trade unions who are concerned for the welfare of the country and reconciliation, President Sirisena said and added he would invite all academics, professionals and all other patriots to join hands with him in this noble mission of making Sri Lanka a prosperous and peaceful country.